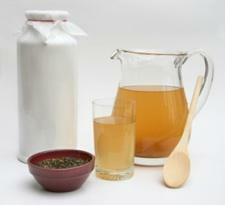 Do you want to know more about the benefits of kombucha? Wow, that's a tall order! Can kombucha really heal all of these health problems and more? Well, it depends on who you talk to. Millions of people swear by the many health benefits of drinking kombucha and have been enjoying its healing abilities for thousands of years. That said, medical science has no conclusive evidence that kombucha will actually cure, or even help, health conditions. Just like any other natural supplement, the FDA requires that commercial kombucha retailers clearly mark on their bottles that any health claims are currently unproven. Just like with any nutritional supplement, you should exercise caution when adding something new to your diet or health regimen. Natural remedies are powerful things, and just like any other medicinal substance, they can cause as much harm as they can good. It's important that you talk to your naturopathic doctor or other health care provider before taking any new supplement, especially if you are already seeking treatment for other conditions. Just like pharmaceuticals, there can be conflicts between a supplement and a medication you're already taking. In other words, please do your homework before starting a new course of natural therapy. Always be aware of exactly what you're putting in your body. It could save you a lot of trouble in the future! If you're looking to try kombucha, you have two options: either buy the liquid that is produced by the kombucha culture, or grow your own. Growing your own is actually very simple, as long as you make sure everything that comes in contact with your kombucha culture is very clean. The culture itself is a combination of beneficial bacteria and yeasts, but it can easily become contaminated if you are careless while handling it. Remember that kombucha juice is a fermented product, meaning that if you aren't mindful of hygiene, other things can grow in your kombucha as well. But never fear! Kombuchas are actually simple to take care of. All you need to do it keep your culture in a large jar, then feed it black tea and sugar (preferably organic). Once the juice is at an intensity that you like (it grow more intense the longer you let it ferment) you simply drain off the liquid to drink, then "feed" it more tea and sugar. HerbalRemedies.com has a great kombucha primer. Here is a long list of the benefits of kombucha. It's very easy to care for a kombucha yourself, and it's much cheaper than buying the juice bottled! You can get a starter kit from here.